Bride of the Month 2015 off to a great start. The Wedding Expo in association with Pretoria News and Saturday Star run a Bride of the Month competition where the monthly finalists and the eventual winner receives fabulous prizes. 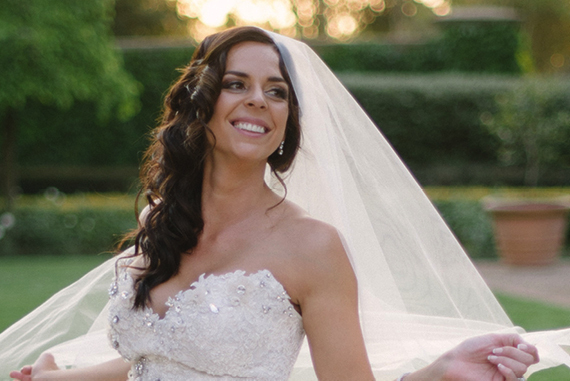 Each Bride of the Month winner will receive a 3 hour retreat for her and her husband at the Hands on Retreat Craighall valued at R1798, a weekend in Durban with Gooderson Leisure valued at R3000.00. And from Canon, a PowerShot SX400 digital compact camera valued at R2199.00. And at the end of the competition, each Bride of the Month winner will receive a fabulous hamper from House of York valued at R1000.00. The other finalists will each receive a Couple Moonlight Massage and Picnic at Hands on Retreat Craighall valued at R1250.00. The Bride of the Year will receive a fabulous second honeymoon to the 4* Outrigger Laguna Phuket Beach Resort in Phuket including flights on Singapore Airlines valued at R61 960.00. As well as fabulous one night Romantic Couple Breakaway at the Hands on Retreat Craighall, including full English breakfast, a picnic and a full body massage valued at R3000. I BELIEVE IT TO HAVE BEEN THE BEST DAY OF MY LIFE!!! GETING MARRIED TO SUCH AN AMAIZING MAN!!! Is this competition still running? I hot married on 28 Feb 2017 and I’m interested on this competition how do I enter? How do you enter the competition. I got married in April 2017. Married on the 15th July 2017.how do I enter? Hi, we got married on 15 June 2017. How do we go about to enter? I got married to my best friend and man of my dreams in August 2017. How do I enter and is the competition closed? I would like to enter the bride of the completion, where do I enter? Good day. I got married the 23 Sept 2017. How do i enter the bridal comp? I would love to enter your competition. How do I do this? Thank you. Still no response from you…. I just want to find out how do I go about entering my wedding pictures into your bridal competition or magazine? May I please be advised on how to enter the competition and what are the requirements? Please let me know how to enter? My daughter was proposed to by her fiancé mowing marry me into the lawn of their garden. The wedding on 28th December held in the depths of Cornwall was bohemian with the bride and bridesmaids in fab. dresses, wearing leather biker jackets to keep warm. I would love to send a couple of photos as they deserve to be recognised for organising something that was just them and magical. I just want to find out how I go about entering my daughters wedding pictures into you bridal competitions or your magazine? She was married on the 5th November 2017. I would like to know how do i enter the bridal competition ? i was married on the 9th December 2017.